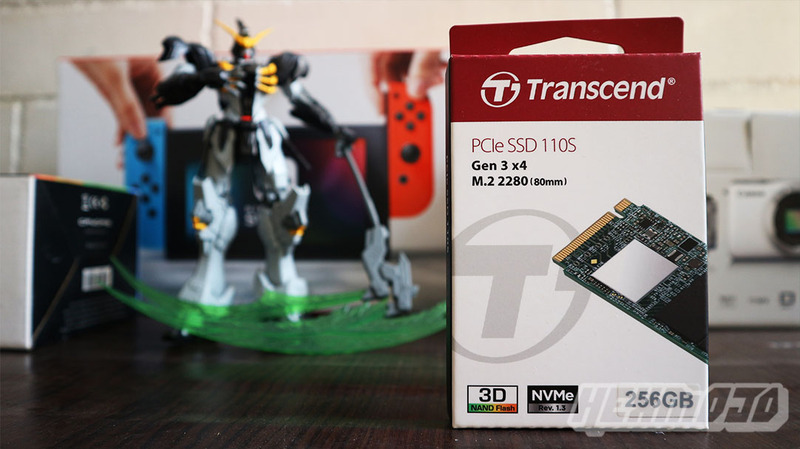 A couple of days ago we made our first contact with Transcend’s PCIe 110 M.2 NVMe SSD (that’s a pretty long name for what it is, actually), and we’re here today to take a closer look into it. So, there’s no better time than the present to put it under the test and run some of our standard tests while we’re at it? 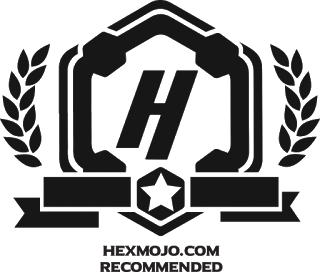 We’re not gonna settle for a simple unboxing, anyway. Warranty Policy Please click here for more information about the Transcend Warranty Policy. Warranty does not apply when SSD Scope's wear-out indicator displays 0% within the warranty coverage. Let’s start things off with the basic installation, which is fairly straightforward. Of course, to begin with, your system is required to be equipped with an M.2 slot that covers 2280 form factor. The 110S doesn’t exactly come with a screw to fix it in, but your system’s motherboard most likely has one to cover up for it. You’ll need to simply slot it in and screw it in place, and once you’re done, that’s about it. 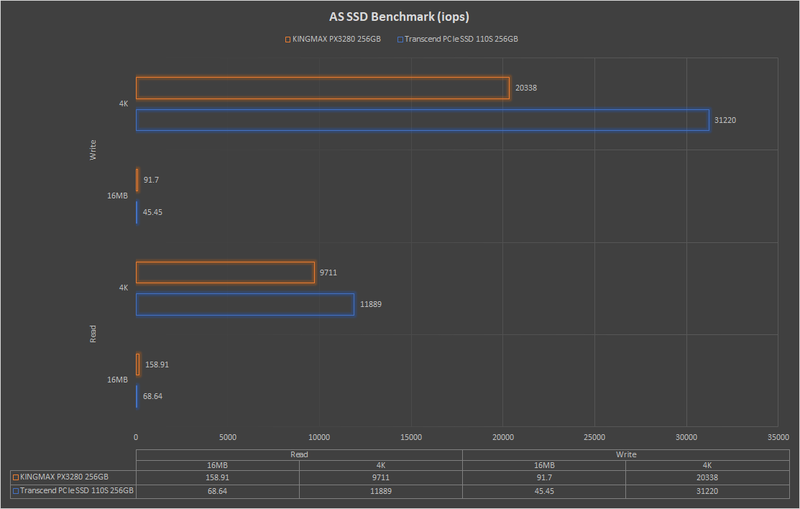 Basically, what we’re dealing here is an NVMe SSD that utilizes the current PCIe Gen3 X4 interface, and we’re expecting for speeds to shoot up. So, then, let’s get started with our standard tests. 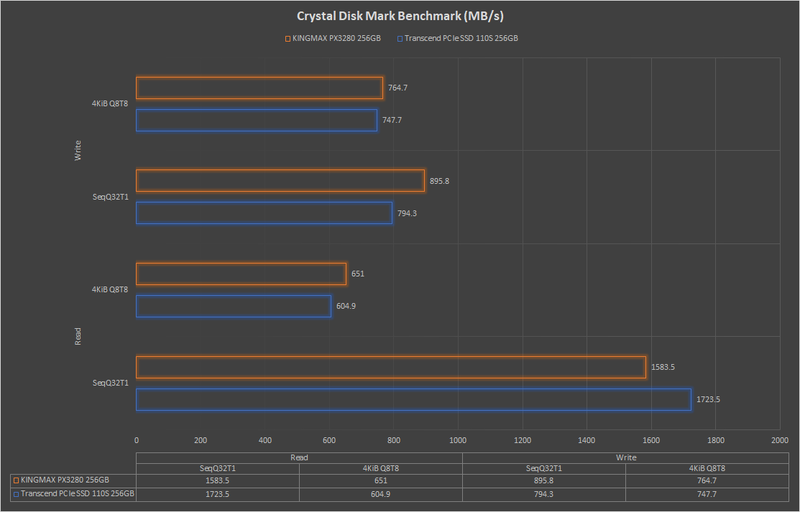 AS SSD Benchmark is one of the standards when it comes to storage benchmarking, and it reads/writes a 1 GByte file as well as randomly chosen 4K blocks. 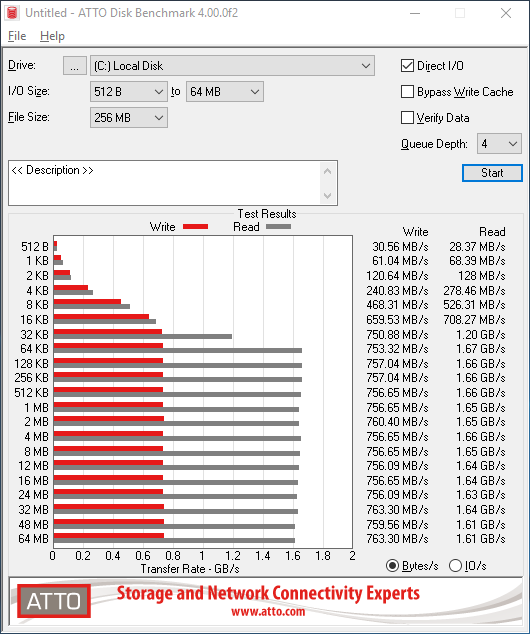 It can also measure in IOPS in addition to MB/s. 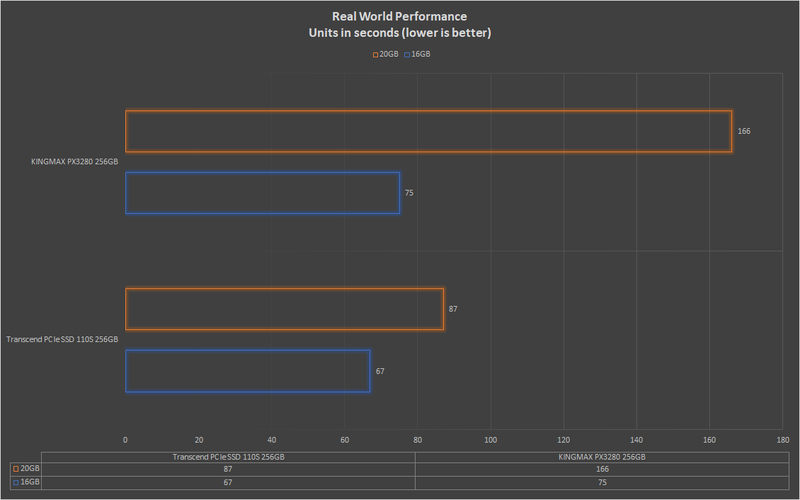 For the real world performance, we'll be using a set of 20GB file consisting of 119 video files, as well as an archived 16GB to test it out. The time is measured in seconds, and of course, lower is better. Transcend has been nothing but successful in its series of storage solutions entry-level and enthusiast-grade. 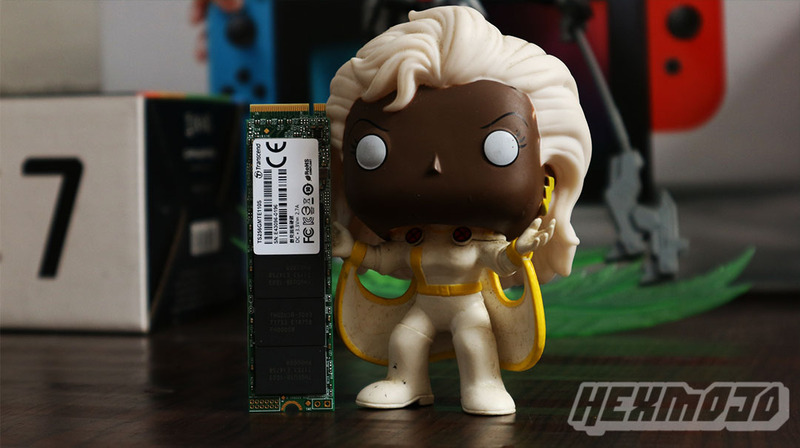 For its price, it easily makes its mark as one of the most affordable NVMe SSD offerings available in the market today. 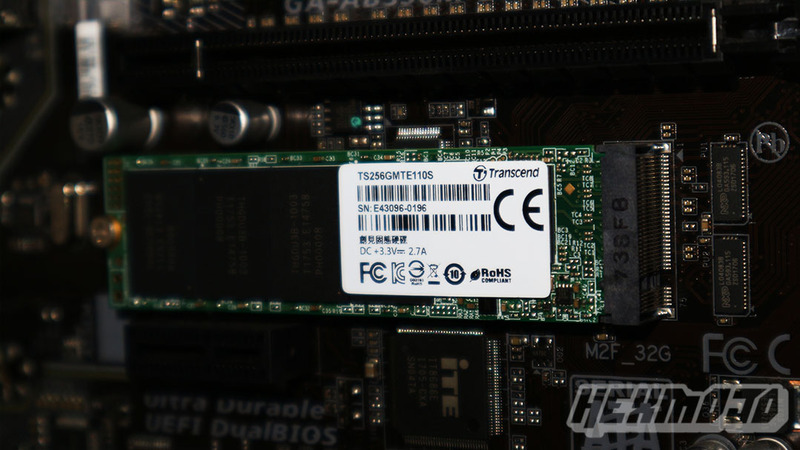 The Transcend PCIe SSD 110S has the performance to match, great value, and the company’s longstanding 5-Year Warranty backing it up. It’s definitely a score.